We quickly realised that doing so would require an international public works project the scale of which the world has never seen. The political leaders deliberated for a month about to how to accomplish such a momentous feat, with myself and the other financial professionals in attendance offering guidance. The group eventually settled on a wide-ranging pledge to reduce carbon emissions, invest in sustainable energy and minimise any further damage to the environment. The agreement was signed by 195 countries and was quickly celebrated as a historic achievement. The climate crisis has been averted, people thought at the time. Many of my colleagues and I insisted the stipulations in the agreement weren’t strict enough to stave off the effects of global warming, but our pleas were ignored, and the agreement was passed anyway. The result is a hollow accord that, despite its perception, does nothing to address the existential threat of climate change. In fact, it all but assures the destruction of the world and mass human tragedy. The carbon emission goals are not nearly ambitious enough. The overall goal in the Paris Agreement — to keep global warming “well below 2 degrees Celsius” — is ambitious. The problem is that the nationally determined contributions (the commitments) are not. Scientists predict that, even if the countries in the Paris Agreement honor their carbon reduction commitments, the Earth’s temperature will increase by 3 degrees Celsius by the end of century compared to pre-industrial levels. Climatologists have long said that just a 2 degree increase will cause a worldwide catastrophe. The participating countries need to significantly increase their individual carbon reduction efforts. 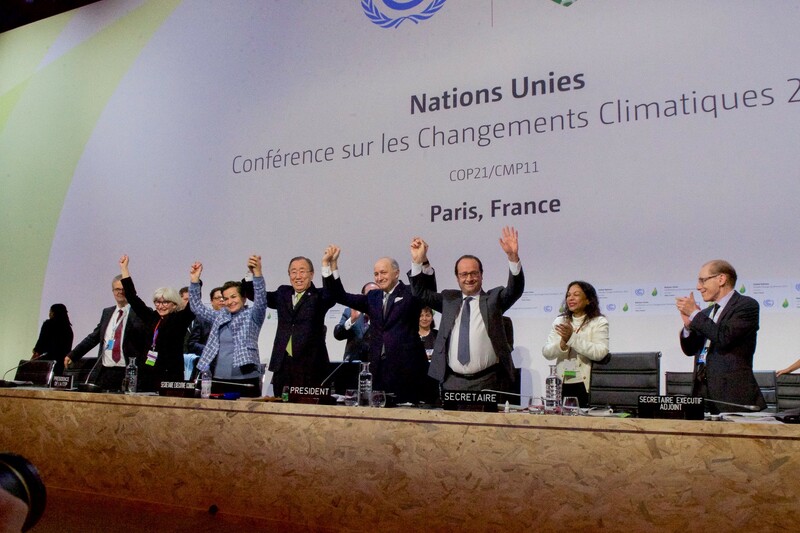 The agreement doesn’t include a global tax on carbon. If recent history has taught us anything, it’s that fear of global disaster isn’t enough to change people’s behaviour. Money always moves the needle, however. In terms of global warming, that means instituting a global tax on carbon. Without a carbon tax, there is no financial incentive for countries to stop using cheap fossil fuels and transition to more sustainable sources (which means countries will never do it). There’s no way to punish countries that don’t honor the agreement. One of Donald Trump’s first acts as United States president was to leave the Paris Agreement. The tragedy isn’t that the U.S. will no longer honor the accord (although it is a major setback). The tragedy is that the U.S. was allowed to do it with zero repercussions. The Paris Agreement doesn’t include any punishments for countries that don’t honor their commitments. Countries can continue polluting and burning fossil fuels and emitting CO2 at alarming rates without having to suffer any negative consequences. There is no regulatory body to keep countries accountable and check if they’re meeting their goals. There are no sanctions or monetary fines for countries that don’t. Nothing. There aren’t enough incentives for investing in sustainability. Research has shown the most effective way to address climate change is to take investment dollars away from companies that harm our planet, and to invest that money in companies that actively promote environment and social sustainability. Unfortunately, the Paris Agreement does little to encourage this redirection of funds. The agreement gives us false hope. This is perhaps the most sinister aspect of the Paris Agreement. Politicians and industry leaders from around the world have celebrated the agreement as a monumental step toward addressing climate change (ha!). This gives people the false perception the problem is solved and we don’t need to do anything else, which couldn’t be any further from the truth. The futility of the agreement is evident in the continued destruction of our planet. 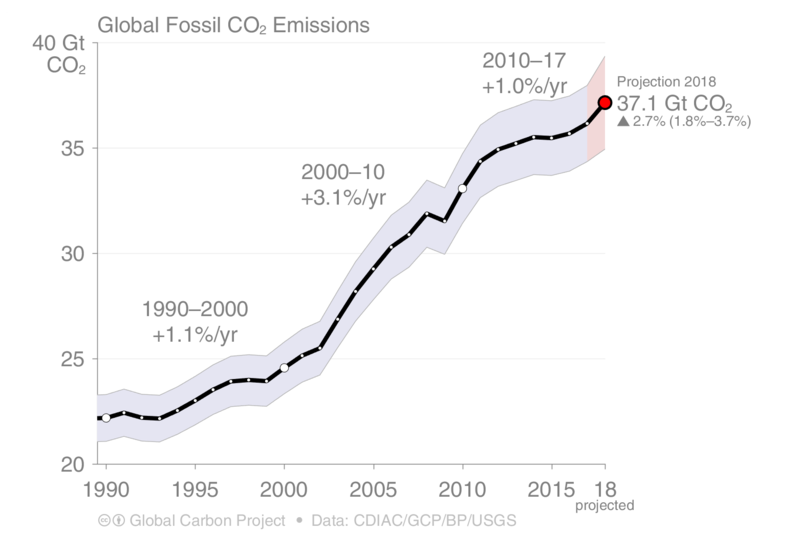 In the years since the agreement was signed, global carbon emissions have risen by approximately 4 percent. And over the past year, emissions from all fossil fuel sources increased: coal emissions increased 1 percent, oil by 1.7 percent and gas by 3 percent. We haven’t even reached the peak in carbon emissions. I don’t want to be defeatist, though, because there is one encouraging aspect in the Paris Agreement. The Paris accord marks the first time in world history countries across the world showed a willingness to work together to fight global warming. That’s a historic development in and of itself, and it’s something we can build on. Institute a global carbon tax. Countries respond to incentives, and a tax on carbon is the perfect incentive for a more sustainable future. Countries will reduce their carbon emissions to protect their bottom lines, and the countries that don’t will pay the price (literally). Create a regulatory body to hold countries accountable. A carbon tax means nothing if you can’t enforce it. The United Nations should create an agency to monitor Paris Agreement countries and make sure they’re progressing toward their carbon emission and green energy goals. Countries that fall short of their commitments should be subject to sanctions and fines. The fines should subsidise green energy projects in other countries and investments in sustainable companies. Stop subsidising fossil fuels. Governments across the world currently spend a combined 150 billion for renewable subsidies which can be compared to the costs associated with subsidising fossil fuels currently at 5.3 trillion USD. This is destroying the planet. We need a global ban on all fossil fuel subsidies. Re-allocate capital to sustainable companies. All of the money we used to spend propping up fossil fuel industries should instead go to companies that committed to energy efficiency, clean energy and repairing the environment. The UN estimates we need to invest 2.4 trillion USD into the energy system by 2035 (about 2.5 percent of the global GDP) to have stave off cataclysmic climate change. That’s an enormous number, and the investments need to begin immediately if we can even hope to reach it. Time is running out. We need action targeted in a direction where it matters the most. And the Paris Agreement falls way short of achieving those goals. Head of Group Sustainable Finance at Nordea. Fighting climate change through finance. YGL 2011, IIGCC and EITI board member. Order of the Seraphim.